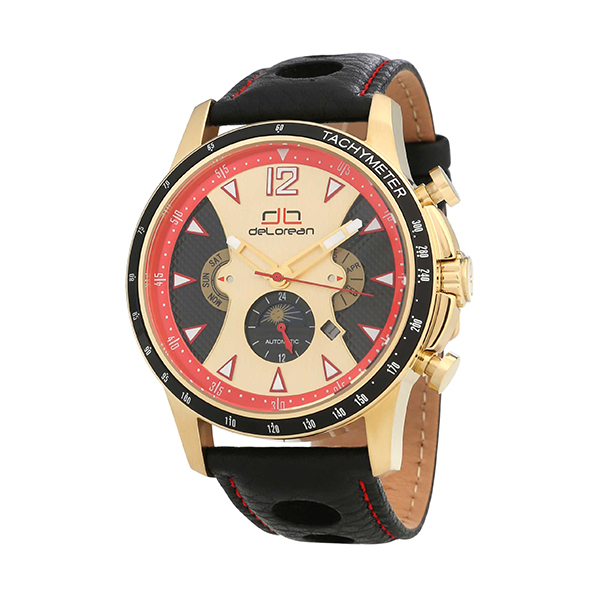 Water resistant up to 50m, this limited edition automatic watch from deLorean is a trendy time piece with Arabian numbers. Inspired by the stars and planets in space, it features all the bells and whistles on the face of this space capsule watch. It features the moon phases and date window on the front, as well as the calendar months. 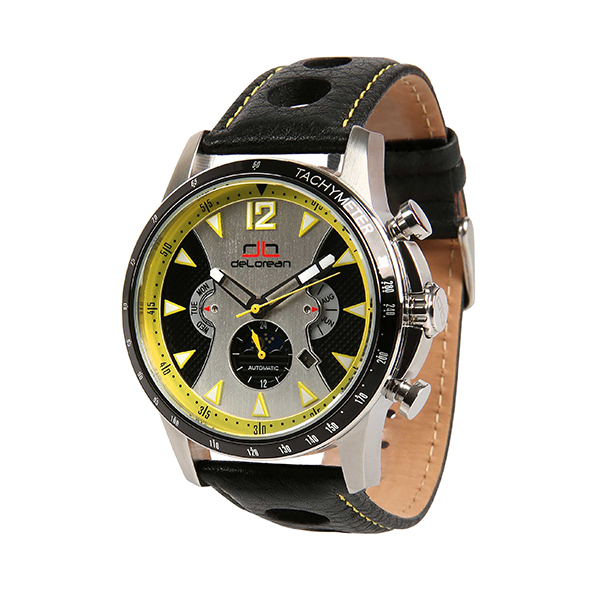 Made with a silicone strap and a stainless steel case, its a great watch to add to the collection.